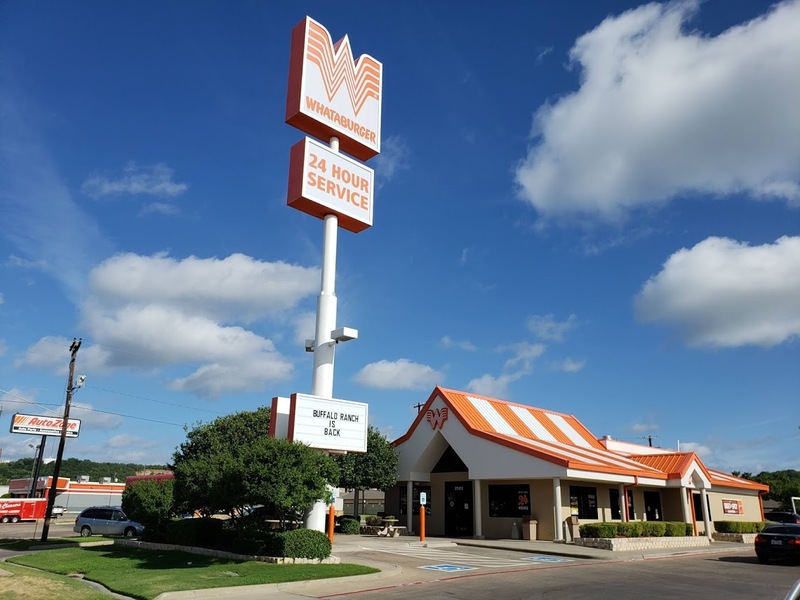 Enjoy hot, mouthwatering burgers, chicken sandwiches, milkshakes, and more at Whataburger! Since 1950, we’ve been serving hot, made-to-order burgers and more with a smile. So come on over. We’re cooking up breakfast, lunch and dinner—from burgers and chicken sandwiches to biscuits and pancakes—to satisfy the heartiest appetites in Mineral Wells, TX. Visit our drive thru or dining area at our Hwy 180 – Mineral Wells at 2503 E Hubbard St.